Future resident parking available in front of the office. 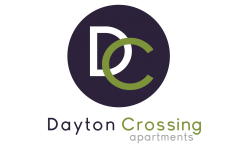 Here at Dayton Crossing, we boast of our choice location in Denver, Colorado. We are one mile from the Nine Mile Light Rail Station for easy access to downtown and Denver Tech Center. Commuting becomes easy with nearby access to Parker Road and Havana Street. Shopping and dining options are plentiful with choices ranging from Olive Garden to Starbucks both being less than a five-minute drive away. Explore Cherry Creek State Park by using its biking and walking paths. Play a round of golf at the many golf courses in the area including Kennedy Golf Course. Whatever your needs, our apartments for rent in Denver can accommodate you. Schedule a tour of our studio, one and two bedroom apartments.